Sony's main electronics business has been unprofitable for a second straight year. Kazuo Hirai and 40 of his management team will be returning their bonuses, worth something in the region of 30 to 50% of their annual pay for the year ended March 2013. 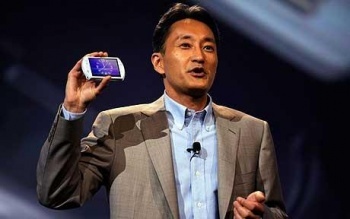 This move was prompted by bad news; Sony's main electronics unit was unprofitable in 2013, for the second year in a row. Though Sony will post a profit in 2013, it was thanks to one-time gains from sale of assets - office buildings and stock holdings - and a weaker Yen, not its struggling electronics arm, which posted a loss. The full extent of Sony's woes won't be known until later this month, when its annual results for the year will be published. This is the second time Hirai has pledged not to accept a bonus after poor financial results, but the last time Hirai did so, only a few of his fellow executives followed suit. Sony wants to expand on its camera, mobile devices and games markets, in a bid to increase Sony's consumer electronics arm after losing ground to Apple and Samsung. Of course, this is the year of the PS4 reveal, which - or so it's claimed - will have the strongest line-up of launch titles of any PlayStation launch. We've been told a lot about what Sony wants from PS4 titles, but it'd seem that what it wants most of all from the console is a healthy profit.